BARBARA HANNA still collects her $155,248.18 month-to-month from the PHA, right up to this day – even though her annual contract ended in November 2018! 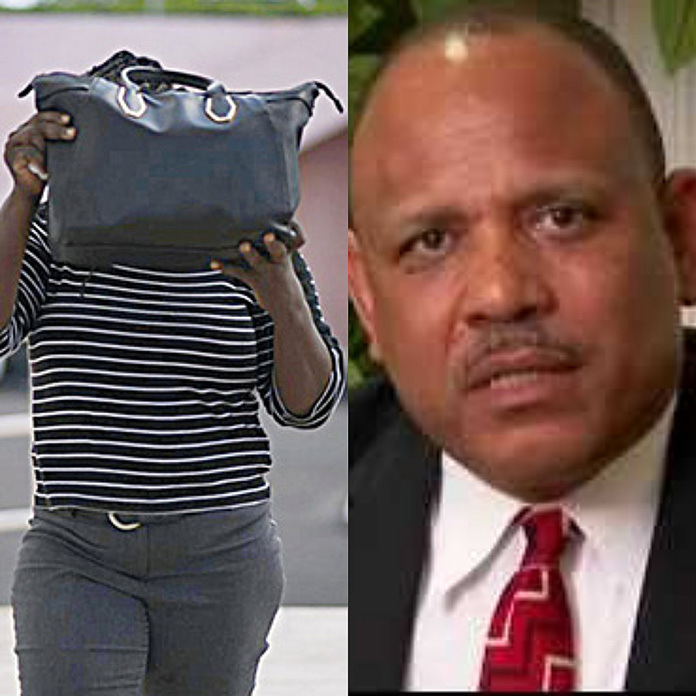 Barbara ‘BAG FULL A MONEY’ Hanna and Minister Duane “$300” Sands! 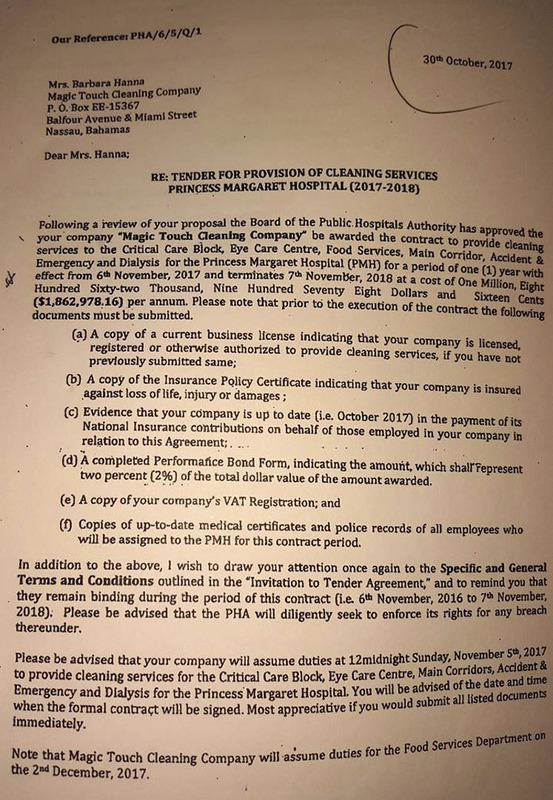 NASSAU| HEALTH Minister Dr Duane Sands approved a contract estimated at $1.9m for Barbara Hanna’s Magic Touch cleaning company less than three months after criminal charges were brought against former PLP Senator Frank Smith. Bahamas Press is learning more about that contract. Readers should remember Hanna was never really interested in bringing any charges against Frank Smith. She told the court she was being used and really didn’t know why she was there in court to begin with. And so she was not the virtual complainant. 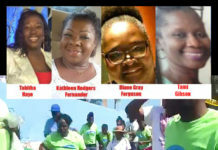 And we ga say it again until it sticks – WHO WENT TO THE POLICE if HANNA AVOIDED THE POLICE? 1) HANNA knew Sands and gave him a campaign donation. 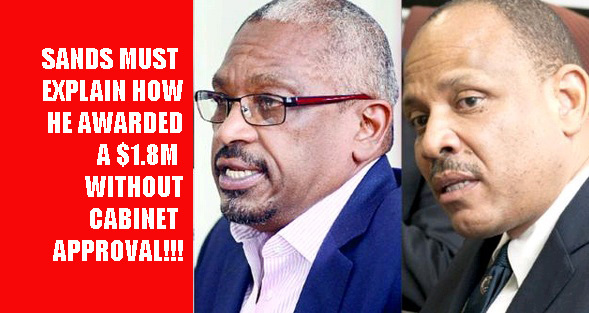 2) Sands favoured HANNA for the contract in that she was not the lowest bidder, was not current with all taxes due, but yet, was awarded by SANDS the $1,862,978.12 contract, evading all the systems, which were designed to properly protect the Government. 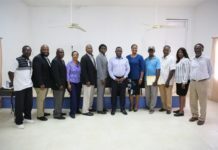 3) And the contract was awarded without any knowledge of the PHA Board and according to evidence The Cabinet of the Bahamas. [We believe the Cabinet knew]. And there is more to all this because not only did Minister Sands make sure Barbara Hanna’s company got all the contracts of the hospital rolled into one big juicy contract, but her initial contract was only for one year beginning October 2017, ending November 2018 [See evidence below]. 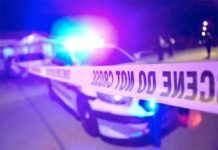 Attorney for Frank Smith Damian Gomez Q.C. told radio audience on The Revolution with host Juan McCartney that Barbara Hanna was still receiving the benefits of this “Sweet Deal” from Duane Sands. Even to the present day she is collecting a month-to-month contract from Duane Sands to clean the hospital. This would mean that Barbara Hanna still – to this day – on a monthly basis collects around some $155,248.18 in payments for her services. This is shocking, seeing all the scandal, corruption and interference which was boldly exposed during the Frank Smith case! 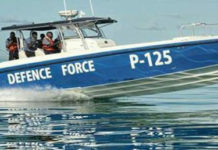 With the public now armed with the facts, Duane “$300” Sands must resign from the Cabinet of the Bahamas! He has ensnared himself deeply into the trap using Barbara Hanna in an attempt to incriminate an innocent citizen in a coached lie at the expense of taxpayers. This cannot be the new standard of the Bahamas! And with all these fact laid at the feet of the Cabinet of the Bahamas MOST HONOURABLE EVER remains silent following these developments. Is he also complicit and therefore is paralysed to act?! Next articleWhen will Marvin Dames be arrested for his involvement in Barbara Hanna’s LIE?